Describes the innovative partnership models that are being developed between public and private agencies in order to ensure the public's health and environment. Copyright 2005 Grantmakers In Health. All materials in this report are protected by U.S. copyright law. 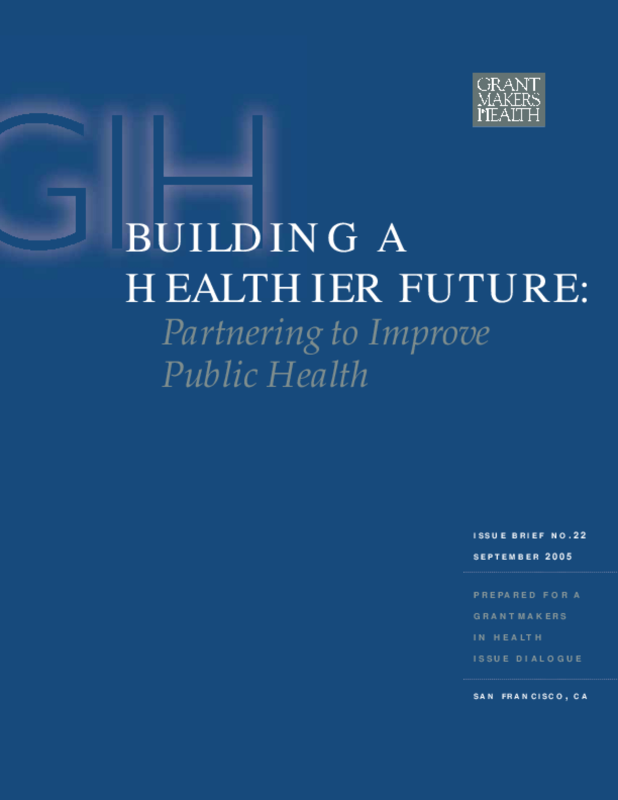 Permission from Grantmakers In Health is required to redistribute this information, either in print or electronically.